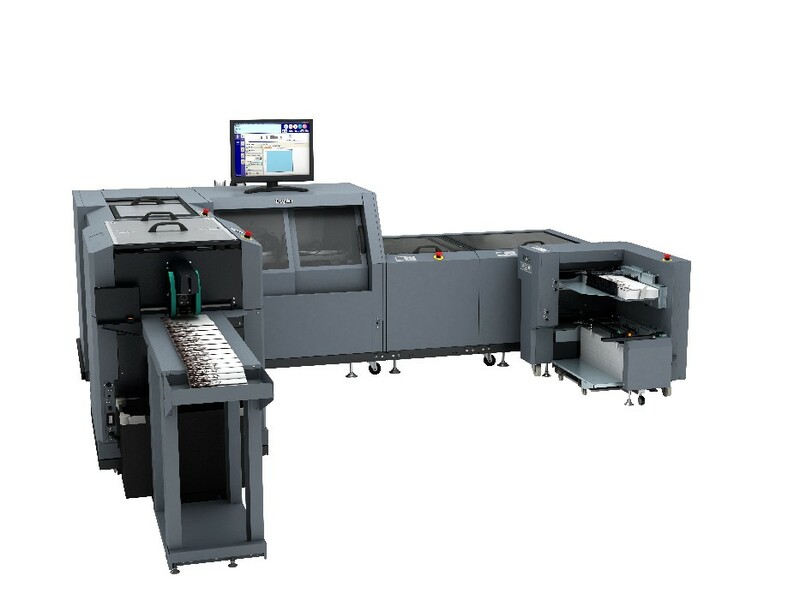 The iSaddle System is Duplo’s heavy-duty, high volume collator and saddle stitcher and the first in its class to deliver the increasingly popular, letter landscape booklet. 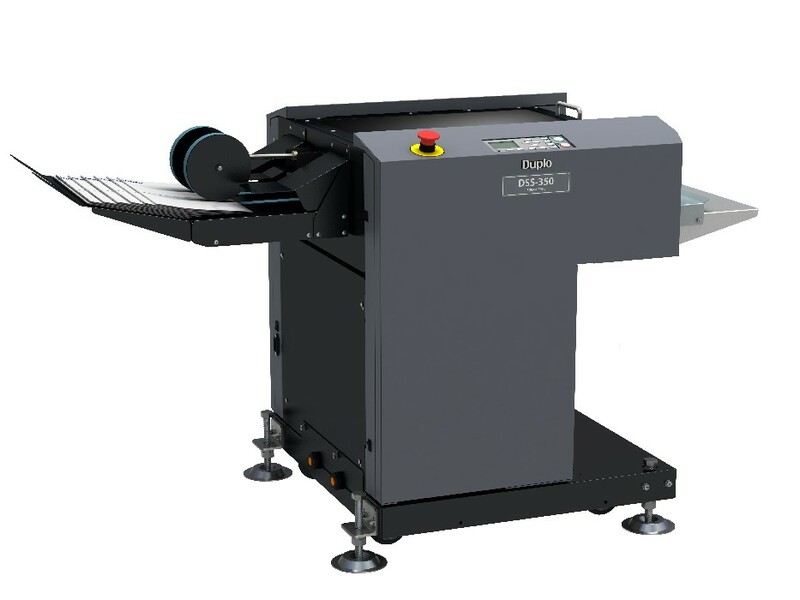 The iSaddle Digital System is Duplo’s sheet-fed saddle stitching system, combining the DSF-2200 Sheet Feeder with the saddle stitcher. The iSaddle Duetto System is Duplo’s combined sheet feeding and collating saddle stitching system. 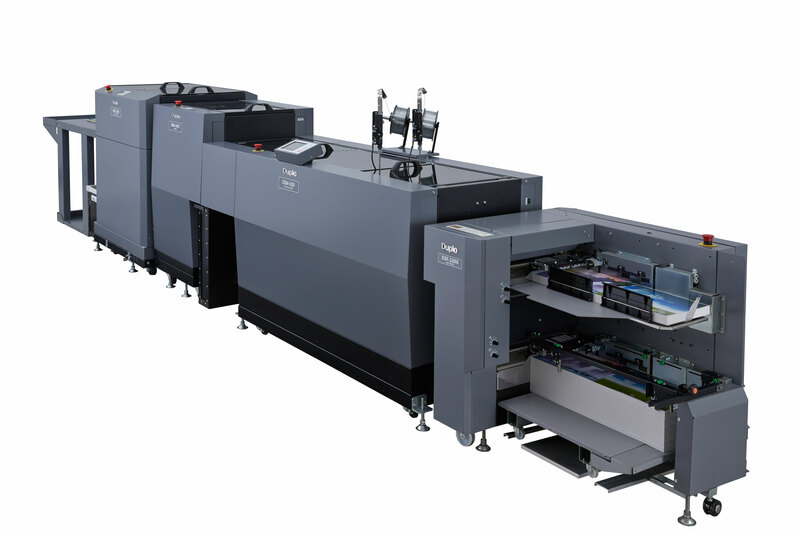 The 600i Booklet System is Duplo’s high-end collating and bookletmaking solution. 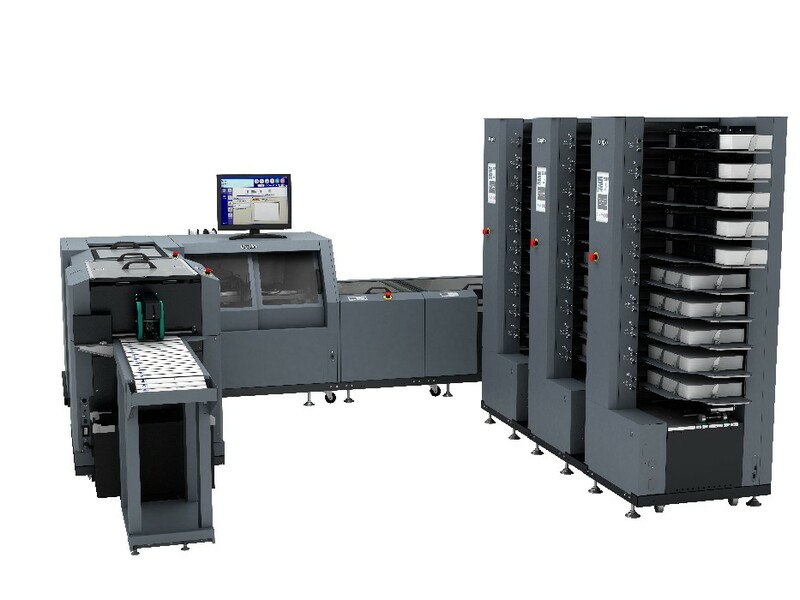 The 350 Booklet System is Duplo’s mid-range collating and bookletmaking system, integrating the DSC-10/60i Suction Collators with the DBM-350 Bookletmaker. 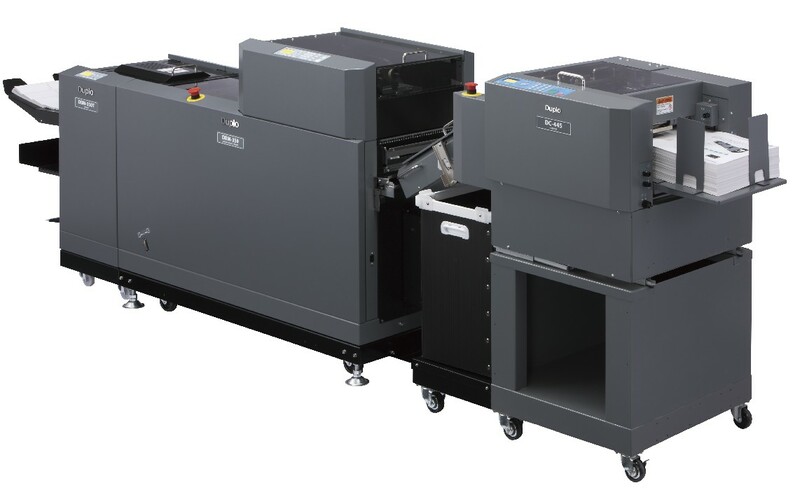 Creating a perfect combination for productivity, value, and durability, the fully automated 350C Booklet System configures up to two DSC-10/20 air suction paper collators with the mid-range DBM-350 Bookletmaker. 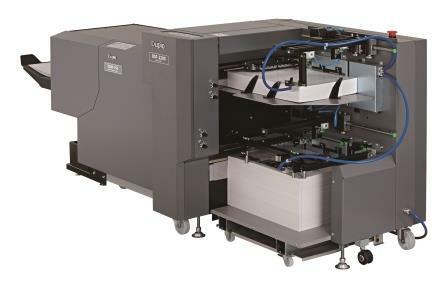 The Duplo 150C Booklet System integrates the DBM-150 Bookletmaker with up to two DSC-10/20 Suction Collators, providing an entry-level collating and bookletmaking solution. 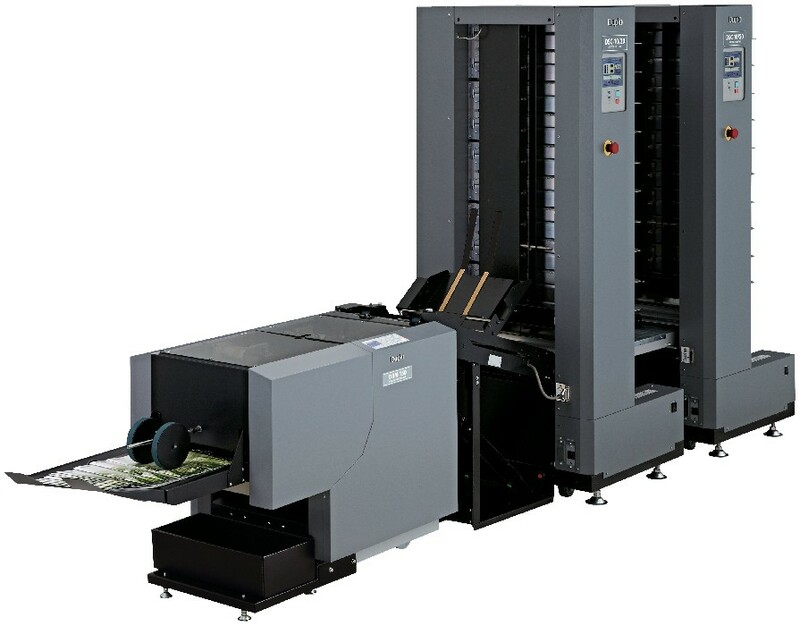 The 150Fr Booklet System is Duplo’s entry-level collating and bookletmaking system. 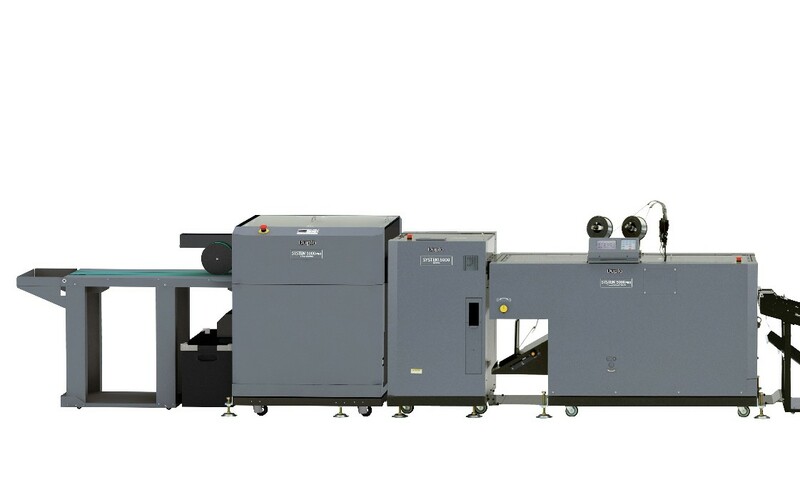 The Duplo 600i Digital Booklet System configures the DSF-2200 Sheet Feeder with the high volume DBM-600 Bookletmaker, creating a bookletmaking solution ideal for mid to large volume printers. 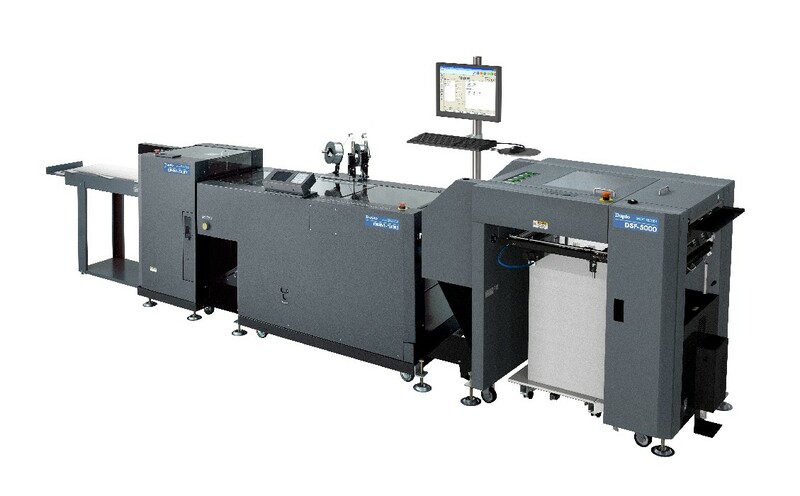 The Duplo 500Pro Digital Booklet System connects the DSF-5000 Sheet Feeder with the DBM-500 Pro Bookletmaker. 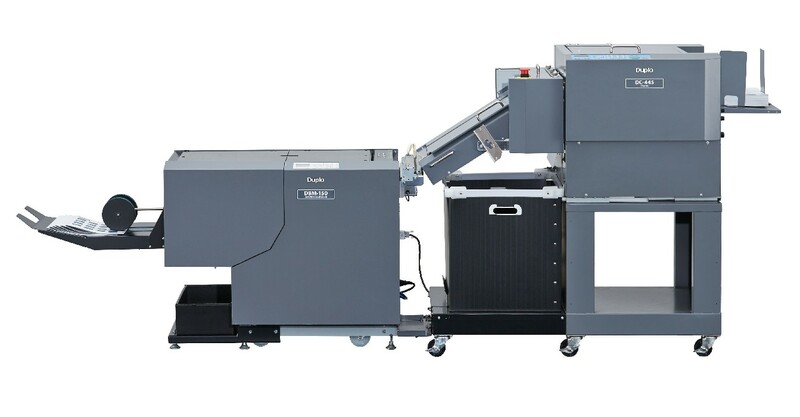 The Duplo 350i Digital Booklet System connects the DSF-2200 Sheet Feeder with the DBM-350 Bookletmaker, creating the perfect mid-volume digital finishing solution. 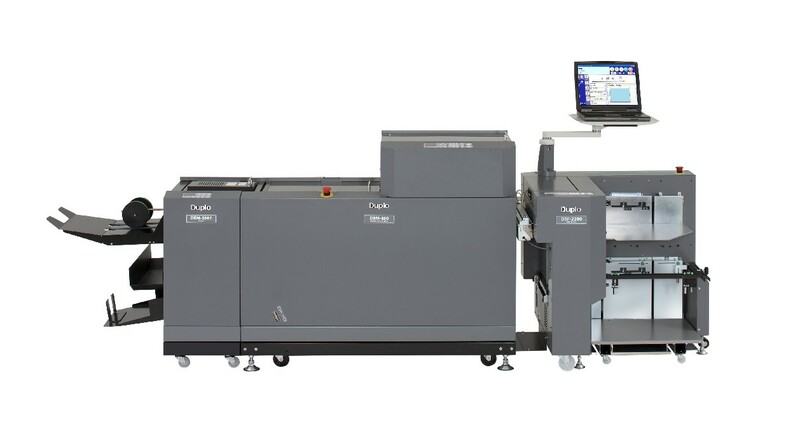 The 150 Digital Booklet System is Duplo’s entry-level sheet feeding system connecting the DSF-2200 Sheet Feeder with the DBM-150 Bookletmaker equipped with the DBM-150SxS Kit. 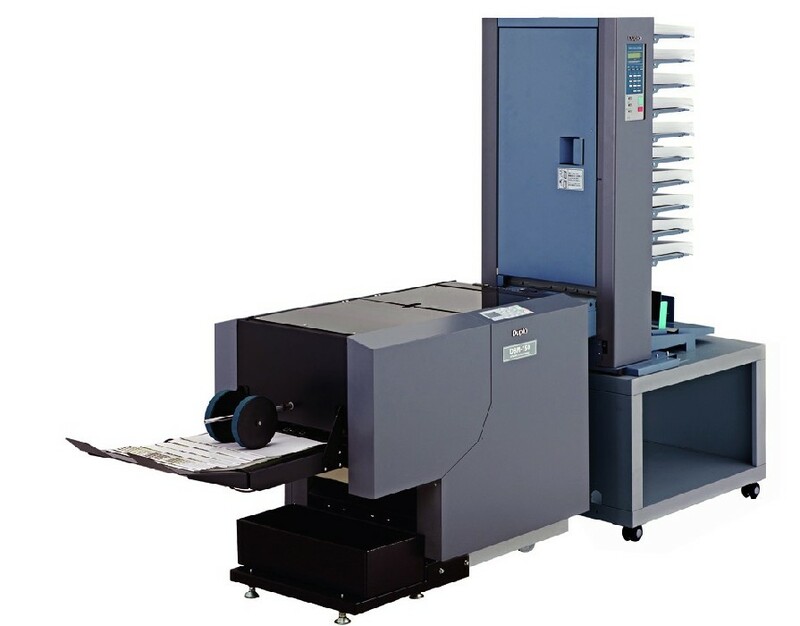 The DFS-3500 Bookletmaking System delivers an affordable, all-in-one solution ideal for low volume jobs. 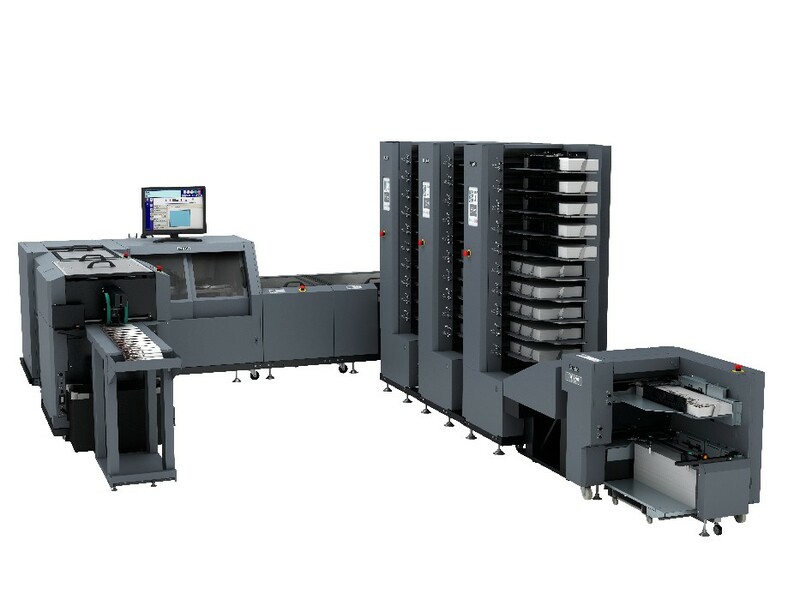 The 150Cr Booklet System is Duplo’s compact, full-bleed bookletmaking system ideal for shorter volume demands. 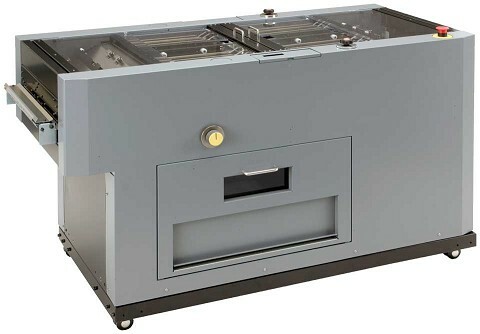 With a compact footprint of 36″ x 32″, the DKT-200 offers a simple straight paper path that is gentle on easily-scratched, digitally-printed materials. The DSS-350 Square Spine module adds a square spine finish to offset and digitally-printed booklets, providing a flatter look. 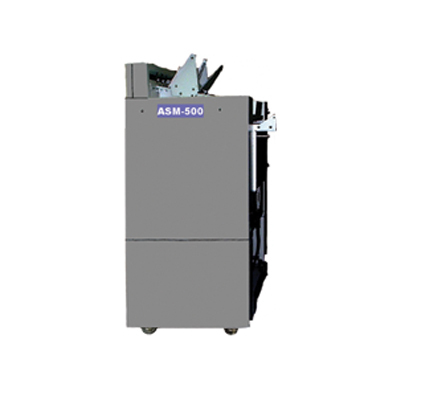 The ASM-500 SpineMaster adds a square spine finish to offset and digitally-printed booklets, providing a flatter, perfect bound look. 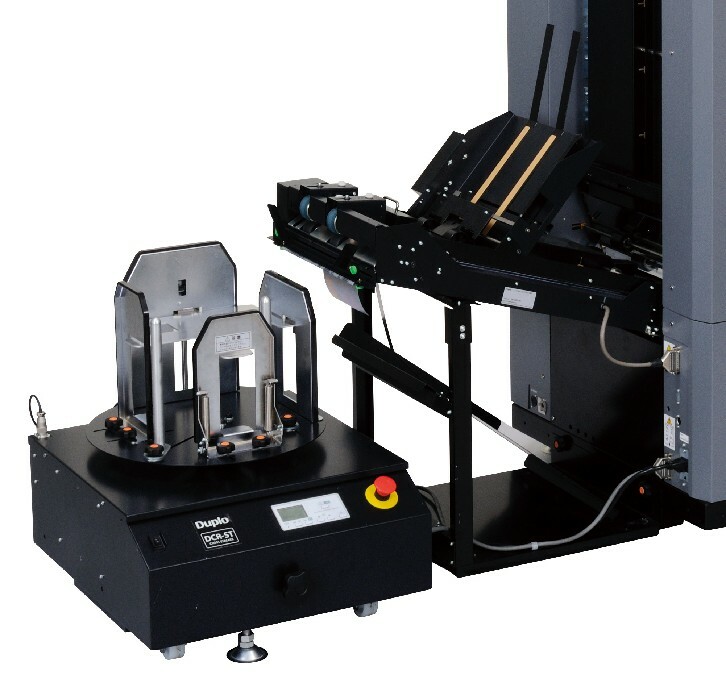 Suitable for higher volume stacking jobs, the DCR-ST can cross or straight stack up to 7.87″. 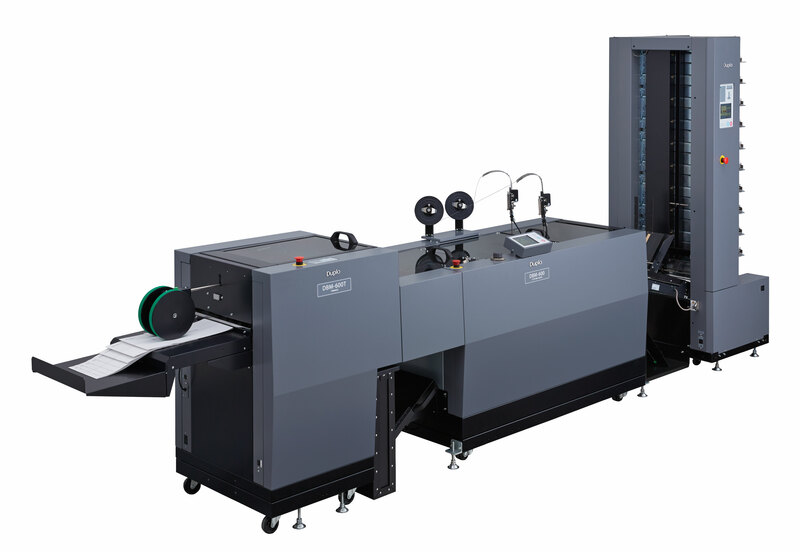 he Slitter/Cutter/Creaser (SCC) unit adds in-line slitting, cutting, and creasing capabilities to the Duplo 600i and 350i Digital Booklet Systems.